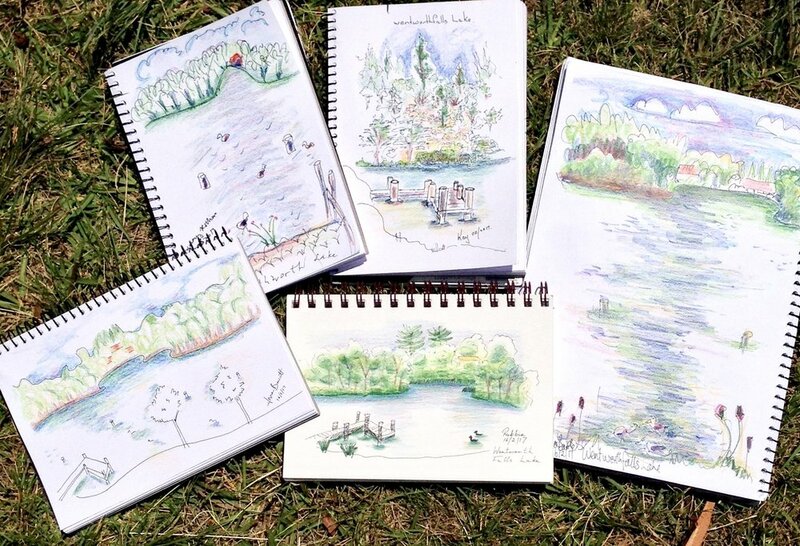 Oh Wow, Wentworth Falls lake in Summer is one of the lovliest places to sketch. First we started in the studio, then headed over to the lake. Beginners learnt about a quick simple was to capture the impression of the area.